Earlier, we looked at the western movement (Westward Ho) that started after Lewis & Clark let the easterners know about the huge country to the west. As well as going on land, there were ways by sea. One was long and around the Cape. The other consisted to two sails with an arduous crossing in Central America. There was another trail. 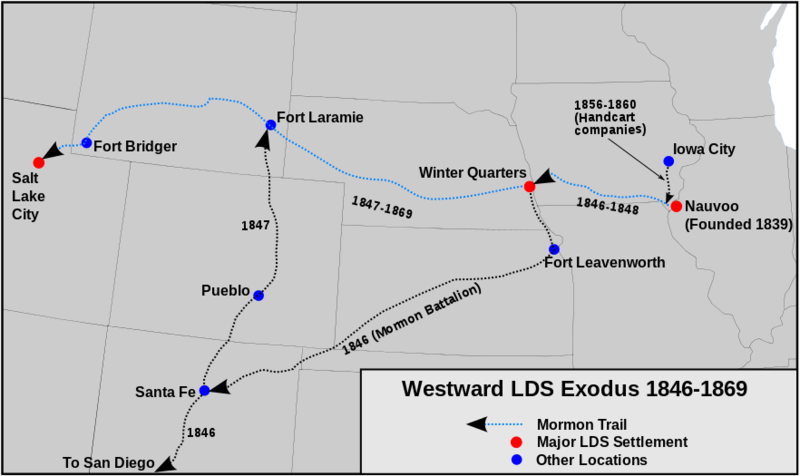 That followed by the Mormons (Mormon Trail). It had some commonality with the Oregon Trail, however the mode of travel was somewhat different after the earlier trips. Putting together proper supplies for the trip required funds. There were many who wanted to go west, yet they could not afford to do it in the normal manner. 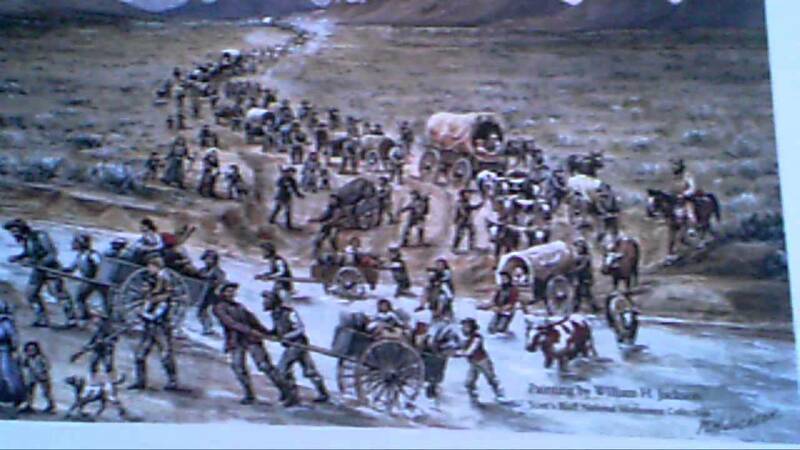 So, they went on foot, pulling hand carts: Mormon handcart pioneers. While researching the western flow, I ran across a book that provides information about those who took the journey. There is genealogical information; plus, their arrival and with what company is noted. Each year, people formed groups that traveled together. Both of these reference Gardner/Gardiner families. Some of the families came from Europe. We will look at that further. The later issue of the book has more information with photos. There were many New England families, such as Herber Chase Kimball. Herber was the grandfather of Spencer W. Kimball (LDS President 1973-1985). The launching point for this moving over land was western Illinois. 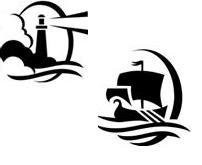 There were many New England families that were involved in the development of this and surrounding states. We will look at some interesting aspects of that. Meanwhile, some links to further material. An example of movement by sea is the Brooklyn that sailed New York to San Francisco in 1845. The last post, we wrote about Abigail, wife of Silvester. This was of the George of Rhode Island family. That suggested a re-look at the Gardner book (1907). Dr. Frank wrote of Henry and Weld Gardner, both Loyalists. Why caps? We think that we need to hear about the other side of the story, again, and will help facilitate another, personally filled out, look at those early moments. We all know that ex-post-facto considerations throw out a whole lot of detail. The History of Massachusetts site wrote about General Gage a few years ago (Was General Thomas Gage Born to Lose?). They looked at his family history which is unusual in several ways. For one, it is nice to be able to have that ability to trace the past, as such following of links back is not typical. There have been many other studies. One of note deals with houses in Salem. In particular, this look at William "Old Billy" Gray who was mentored by Henry and Weld's grandfather. General Gage and Hon. William Browne, Esq (whose house Gray obtained later - see page 4) dallied while the patriots met in their subversive manner. Expect further posts on this matter. 10/12/2016 -- Comment at History of Massachusetts. The WSJ, recently, had a review of an exhibit at the Brooklyn Museum; the article was titled "Polemical History Lesson." Copley and Gardiner were mentioned. John Singleton Copley, born poor but risen high on the strength of prodigious talent, is caught in the net of “Pan-American Privilege” in the next section. His portrait, c. 1772, of New England monarchist Abigail Pickman Gardiner, dressed in “the height of London fashion,” is one of three depictions of “privileged Americans” leading off the display devoted to the Colonial era. I have run across several who sat for Copley in my work. Abigail was the wife of Dr. Silvester. He was the namesake of Henry D. Gardiner. Henry dropped Silvester from his name due to Silvester's loyalist bent. We ought to show the several sides to any of these stories about all things Gardner. Let's get the fuller picture. Silvester and Henry are descendants of George of Rhode Island who was mentioned in both of Dr. Frank's books. This is what their book says about Abigail. 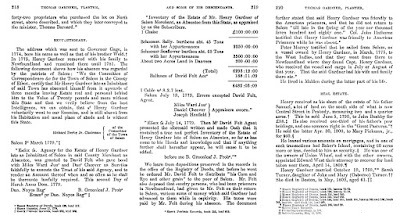 This summer we started to re-look at possible relations between the various Gardner families in conjunction with efforts being under taken by David T. Gardner, a descendant of a Philadelphia-based Gardner family. 10/11/2016 -- Henry and Weld Gardner of Thomas of Salem were loyalists. 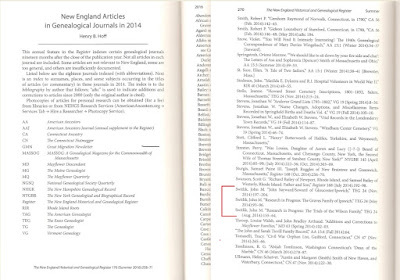 A few articles researched and written under the auspices of Gardner Research are in a reference list in the latest issue of the NEHGS Register. 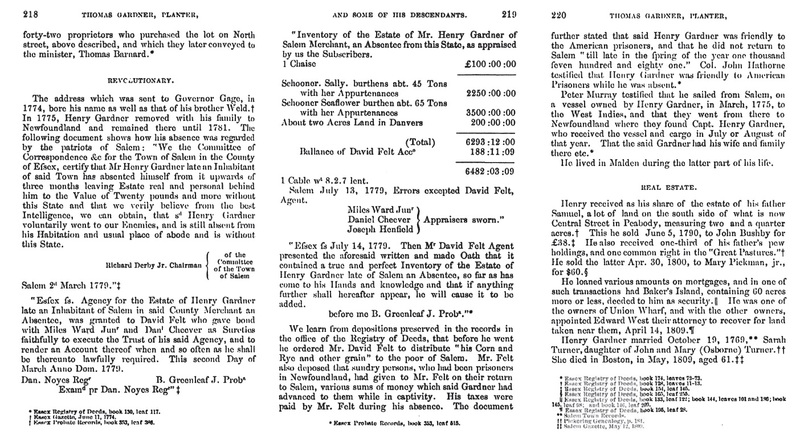 These appeared in The Essex Genealogist in 2014. 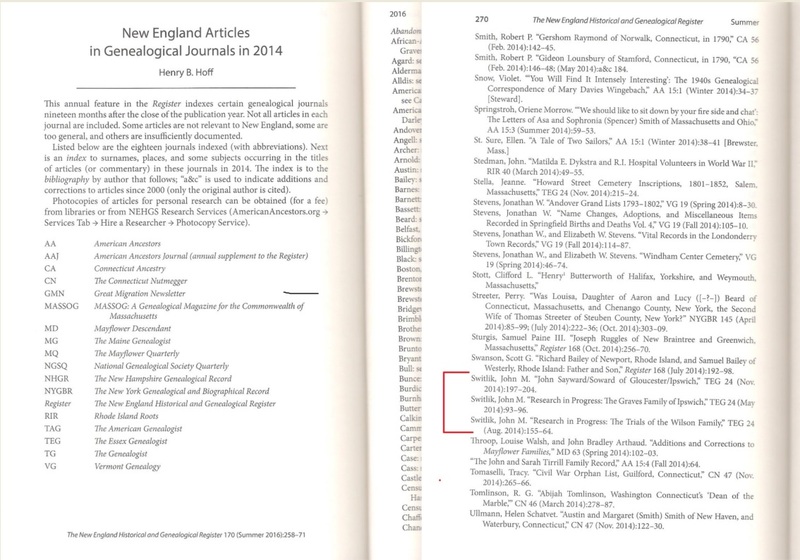 Links to the articles are provided in this table. Lucy F. Wilson is the grandmother of Dr. Frank (review plus his ahnentafel). 10/11/2016 -- Two more articles referenced in Summer 2017. 12/07/2018 -- Wrote of the TEG experience, first article, in TGA, Vol IV, No. 1.